Our Ash City Ladies Boardwalk Performance Shirt is a Wrinkle Free Fabric is specially treated and cured to prevent wrinkles. Clothes maintain a fresh and crisp look. This shirt also has the DuPont Teflon proection. This is This stain fighting technology repels oil and water based spills on contact. 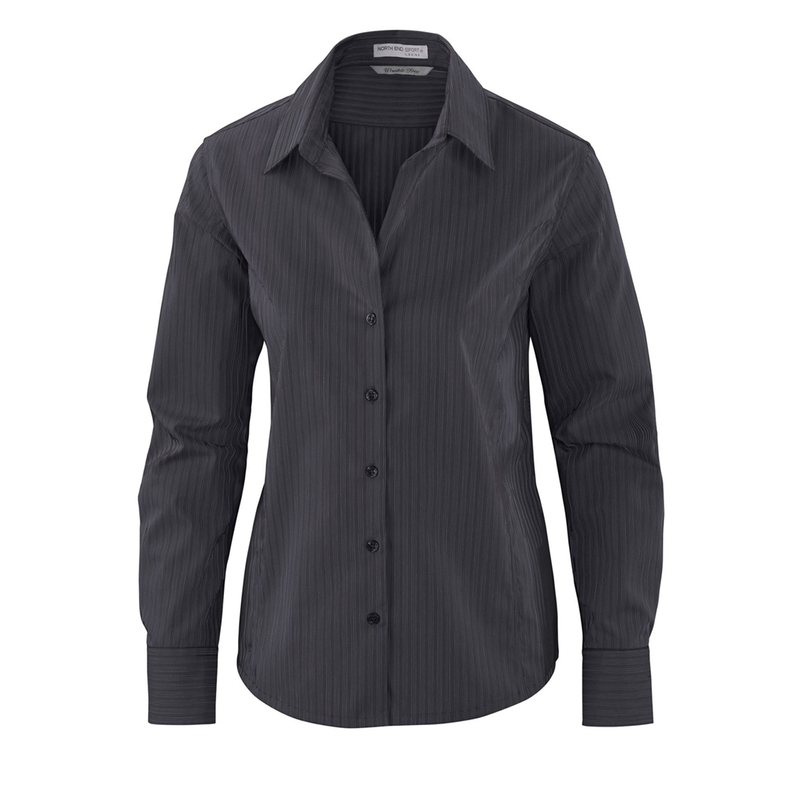 Take care of business with a look of confidence in this stylish wrinkle free shirt. Designed to walk the walk and work as hard as you do throughout your busy day, this shirt delivers corporate style and performance that goes the distance.